Kai Allen: SA’s Top Driver of the Modern Era? 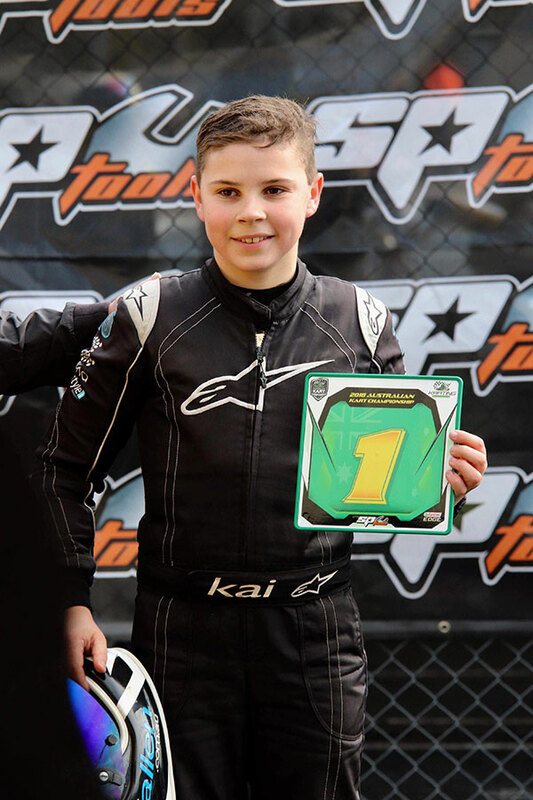 Is 13-year-old Kai Allen South Australia’s number one driver of the modern era? 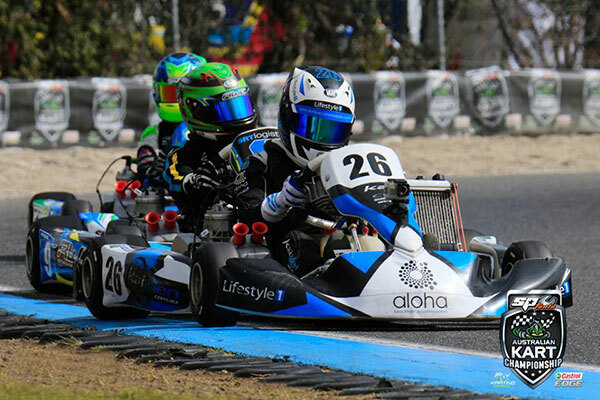 Kai, from Mount Gambier, claimed his second Australian Go Kart National Championship last year, taking out the elite KA2 Junior 125cc category. The final round of the 5 round series was run and won in Melbourne at the end of 2018 season, capping off an amazing year for Kai and bagging enough points to secure the all-out National Championship #1 Position, an awesome feat from such a young lad. The 13 year old’s victory in the 15 & under category was the first by a South Australian since Supercar driver Tim Slade, who claimed the elite junior Championship way back in 2001. Capping off another stellar year by the home schooled teenager, Kai finished 2nd in the fiercely contested KA4 Junior restricted 100cc class. Kai competed in 2 of the 9 National category classes on offer, making for a very demanding and busy season for the rising star. • The 2018 Dunlop Determination Award. Given his 2018 trophy haul, it is no surprises that Kai is the most successful Cadet/Junior driver in history since those championships were changed from a single event title to a 5 round series back in 2015. Kai has been on the podium of every category he has contested since that year, taking his first Australian Title in 2016. This is an incredible achievement in anyone’s book. 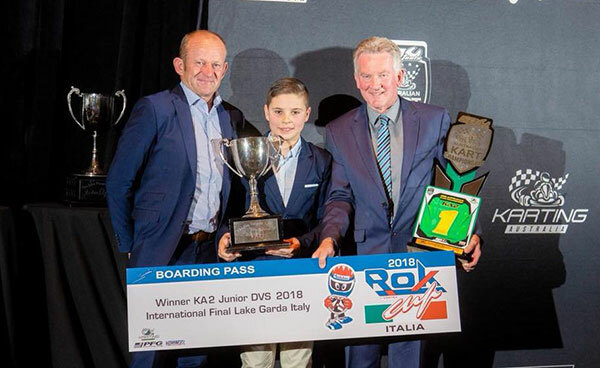 Along with grit and determination from Kai and his family, the swag of trophies/awards he collected thanks to his 2018 results has enabled incredible opportunities, especially from his victory in the KA2 Championship. This winning result comes with automatic entry into the ROK International Cup Final at Lake Garda in Italy. He has also received a free test drive in a Formula 4 car, but unfortunately must wait until he turns 14 to acquire the necessary licence to tackle this opportunity. 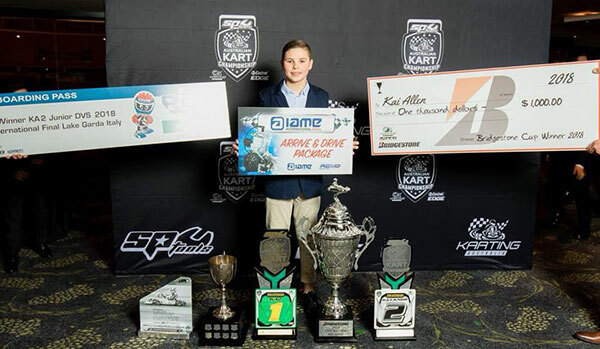 His second placing in KA4 has also come with some perks, including a drive package in the IAME International Final at the Le Mans Karting International Circuit in France. Kai’s campaign was assisted by Mount Gambier’s John Dankowski, who helped the Allen family with extra hands on deck to ensure Kai could compete in two classes during the demanding and hotly contested 2018 National Championships. Not to mention that Kai is also the current KA3 Junior State Champion in South Australia and Victoria. Kai has many other results to his name. He will be one to watch into the future no matter what category of racing he does going forward.